This patient has presented with an excessive amount of weight in the stomach region. No waist definition can be seen and there is a large amount of skin and fat hanging under the belly button. A defined waist line has been created and the heaviness has been removed from the lower stomach. This patient now has a flatter and more defined stomach; making it easier for her to fit into her clothes. The mega liposuction is a procedure that can kick-start a patient’s weight loss journey. While it is not a weight loss solution on its own, it can put a patient on the right track. Evidently, The Dr Lanzer Clinic does offer additional weight loss solutions at their clinic. Mega liposuction should only be a kick-start to a new lifestyle, so let us take a look at the additional treatment options available as well as some detailed information on mega liposuction. Why Is The Dr Lanzer Clinic The Best Option For Permanent Weight Loss? We take a holistic approach to fat loss, by involving our nutritionist in your lifestyle management. Dr Lanzer’s nutritionist, works together with the patient to optimise the healing from surgery. This is achieved through the use of a range of professional micronutrients as well as dietary modification. Dr Lanzer’s nutritionist can devise a weight loss meal plan to further optimise the results of your mega liposuction. Therefore, we urge patients to benefit from this service available to them for more permanent success. Medical Nutrition Therapy is available to mega liposuction patients of Dr Lanzer; this to assist with the loss of fat, overall wellness, and healing from your surgery. Diet and nutrition are something we encourage you to address at the time of your surgery. This approach will assist to achieve the best result of your cosmetic surgery. What Is The True Aim Of Mega Liposuction? Even though liposuction is meant to target persistent fat deposits when the patient is already around their target weight, there is a liposuction procedure that could be used as a kick-start of the patient’s diet. This procedure is called the mega liposuction. 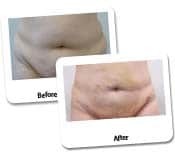 The mega liposuction is used to remove large volumes of fat, so it can start the patient’s lifestyle change. Naturally, the patient must show a willingness to maintain their weight loss efforts after their mega liposuction procedure. Therefore, the patient must still eat healthy and exercise to reach their target weight and maintain the results from a mega liposuction. 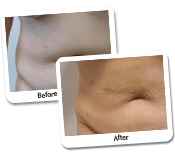 Why Are The Case Studies Of Mega Liposuction Important? The case studies above display clearly what impact a mega liposuction can have, but they also show that the patient still must lose weight after the procedure. If a patient has a considerable amount of weight to lose, it can be difficult to do certain exercises because the fat gets in the way; this includes yoga or the use of certain fitness equipment. By removing some of the excess fats that influences the physique of the patient negatively, the patient has a shorter way to go to reach their target weight. However, if a patient is not willing to follow a healthy lifestyle after their procedure, then a mega liposuction will not be the right choice for him or her. How Can I Obtain Mega Liposuction And Accompanying Dietary Services At The Dr Lanzer Clinic? Patients can make an appointment with Dr Daniel Lanzer to discuss the procedure. To book a consultation with Dr Lanzer, please contact our friendly team of receptionists by telephone or the online enquiry form.